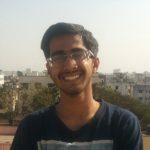 Aniruddha Pathak, aged 20 (as of 2016), is a Computer Science student, and has been into writing since long. He is the founder of 'Litera Muse', which helps the authors and readers to unite under one roof. Apart from writing and studying, Aniruddha is a music lover, and likes to spend his time helping the people flourish in their lives and loves to inspire them. Being an introvert, he feels less comfortable to write about his life, and his readers have been his all-time inspiration. He writes about them, and feels to be a part of their lives, though a distant one. He believes in learning new things every day, and hence calls himself an all-time learner.